Add a touch of epicness to your morning coffee with the Pink Floyd Dark Side Of The Moon Travel Mug, the perfect gift for any prog rock lover! This insulated flask is not just great for storing your favourite hot beverages for work and travel, it'll also ensure you maintain your music credibility with its design inspired by one of the greatest albums of all time, Dark Side Of The Moon. 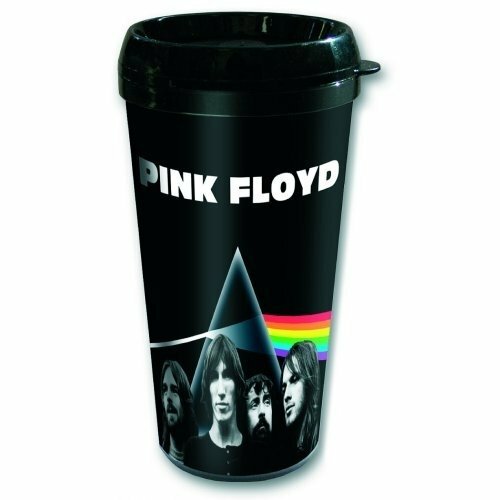 Perfect as a gift for a passionate Floyd fan in your life (aka your dad, probably) don't miss out on this awesome Pink Floyd Dark Side Of The Moon Travel Mug!